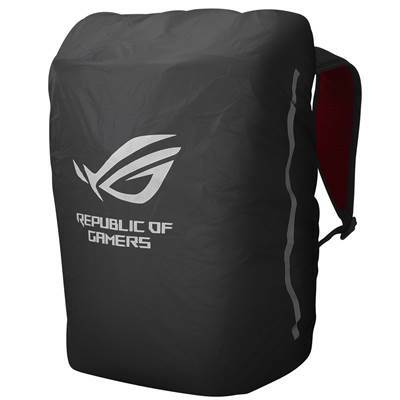 A built-in rain cover sporting the ROG logo adds even more protection for heavy downpours. 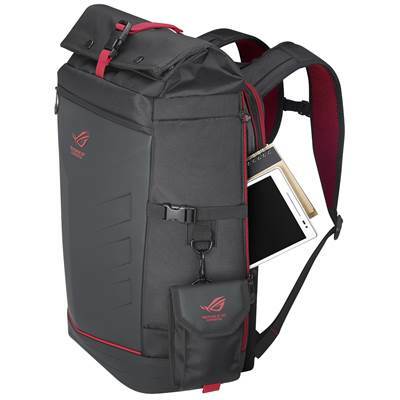 ROG Ranger has a high-volume design that fits a large amount of gear with smart organizational features, such as a detachable accessories panel and removable side pocket to make contents easy to find. 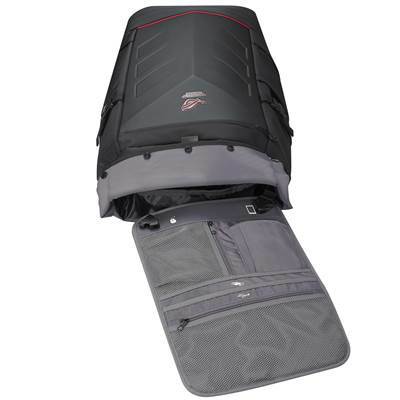 Its unique foldable closure system provides extra capacity when needed and opens wide for effortless loading and unloading. 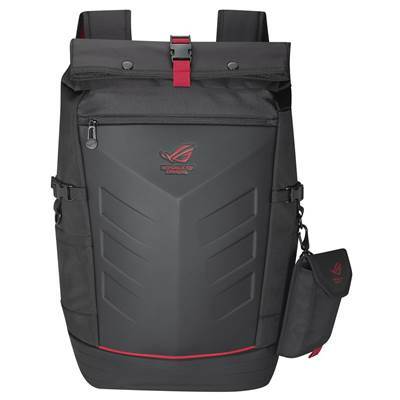 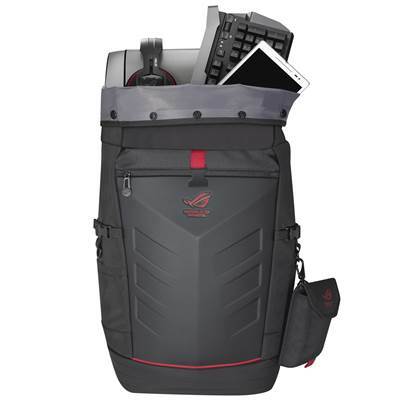 The 36L ROG Ranger backpack measures 37.5 by 20 by 54cm, and has huge internal compartments so there's ample room for your laptops and other gaming accessories. 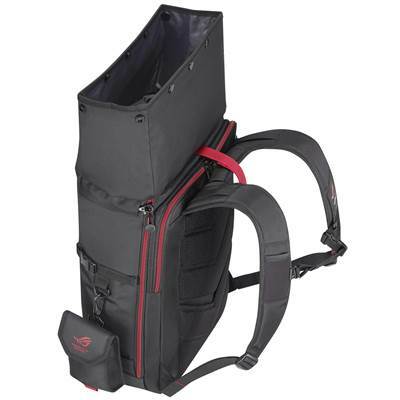 Its roll top design provides easy access to everything in your bag, and increases storage capacity to 42L when you need it. 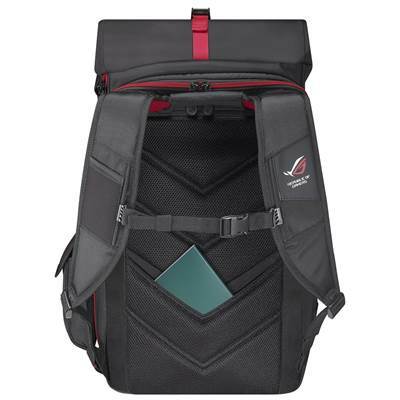 ROG Ranger has a zippered laptop compartment that's large enough to accommodate gaming laptops measuring up to 17 inches. 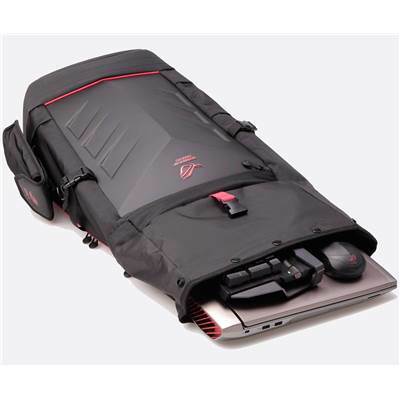 It's the perfect way to take your gaming gear to LAN tournaments.